A webbed suspension. A stinging. A stunning. It’s stunning. I’m stunned and stung. It’s possible I’ve been infected. Nick Mamatas’s Sensation is stunning. It’s sensational. Ok, imagine a world with men of indeterminate ethnicity. Easy enough, right? Now, imagine these men are not made of flesh – like you and I are – but are mere veneers, flexible shells. Inside, thousands of spiders. 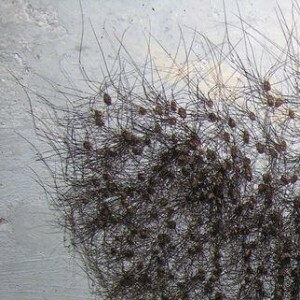 Inside, these intelligent, mutant spiders control men. They are out to control the world. Or, to help the world. Or, at least, to prevent the wasps from taking over. 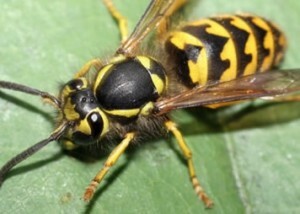 No, not WASPs, but literally, wasps. From South America. Ok, now imagine one of these South American wasps who intend to take over the world stings a woman. She’s a nobody, really, just a woman. But the wasps sting her, attack her brain, and all of a sudden, she’s performing acts of vigilante justice, shooting building developers in the head and giving money to terrorists and New Yorkers alike. Welcome to the world of Nick Mamatas’s Sensation. The title is not misleading. Everything in this book is sensational, in the best way. Reading Mamatas’s book, I was reminded of Cesar Aira, but unlike Aira, who often employs unlikely deus ex machina, Mamatas sustains his god-machines through the entire course of the novel. Every page brings about a scenario that is even more unlikely and unpredictable than the page before, and yet, I was sold. He transported me into his simulacra, and I was fine with it. I welcomed it. Because Sensation is funny. No, it’s hilarious. It’s politically savvy and offers a smart critique of activists and the state alike. There is no generosity here. 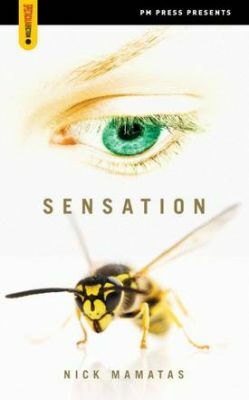 Sensation, in many ways, does what all good science fiction aims to do: it offers a critique of the status quo. It depicts an alternative in order to highlight the problems in our reality. The endless catalogue of modern annoyances, from attention-hogging real estate developers to Indian call-center workers, makes this novel not so much timely as instantly obsolete. I could agree with PW that Sensation calls attention to many “modern annoyances,” if real estate developers can really be called an “annoyance.” [Note: for the sake of brevity, I’ve just deleted a long rant about real estate developers and the obvious flaw in simplifying them as “annoyances.”] But rather than tear apart PW’s review, I’ll simply say: they’re wrong. Whereas Mamatas’s novel does employ a lot of contemporary colloquialisms, which time-stamp it in a way that could – many years from now – deem it “obsolete,” the fantastical world of Sensation critiques and mocks us, today, right now. It crushes our ennui and our malaise. In that way, sure, maybe in fifty years, any text or film that utilizes text messaging as a primary mode of communication or a language that is steeped in the contemporaneous (like, I dunno, The Wire?) may be rendered obsolete, right now, I would argue these films and texts are vital. This is not to say that Sensation is without flaw. The book has some font changes, which, as a general rule, I dislike. If a student had turned in a manuscript with certain sentences or words highlighted in a different font, I’d tell her it was “cheating” and a bit “cheap.” For instance, the protagonist in Sensation (the wife who was stung by the wasp) spray paints a They Might be Giants lyric (no comment on this choice) on a future development site. Mamatas uses a font that imitates spray painting. This almost immediately turned me off. But this is an issue of formatting and editorial decisions. It takes away from the text, puts some readers off, but when stacked against the sharp writing and hilarious scenes, it’s fine. 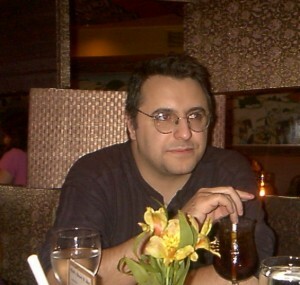 Mamatas… appears to be more interested in reasserting the primacy of Joyce, Pynchon, and Coover than establishing the voice of Mamatas in his self-consciously po-mo third novel. This accumulation of pop-culture babble, layered with thin insight and metatextual archness, is amusing enough in an epigrammatic way, but there’s little attempt to communicate beyond the level of the individual sentences. One last thing: Sensation is published by PM Press, which is one of the most exciting political presses I’ve found in a while, especially their Outspoken Authors series. If you’ve got dollars, you should support them. One more last thing: if you want more of Nick’s words, check out his very popular blog.